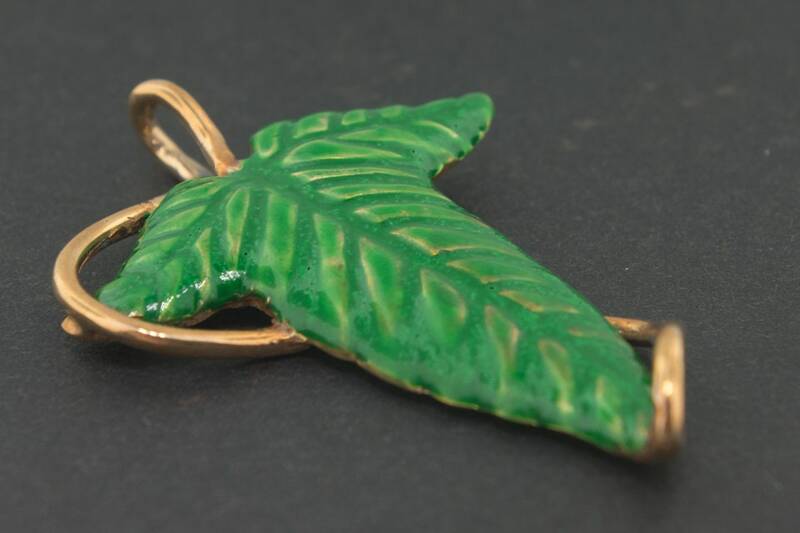 This is a handmade leaf pendant I made in antique bronze with green enamel on the top. The pendant is 5cm long and 3.5cm wide, and the loop on the top is large enough to pass a 4mm chain. The back is hollowed out to make the pendant lighter for every day wear. 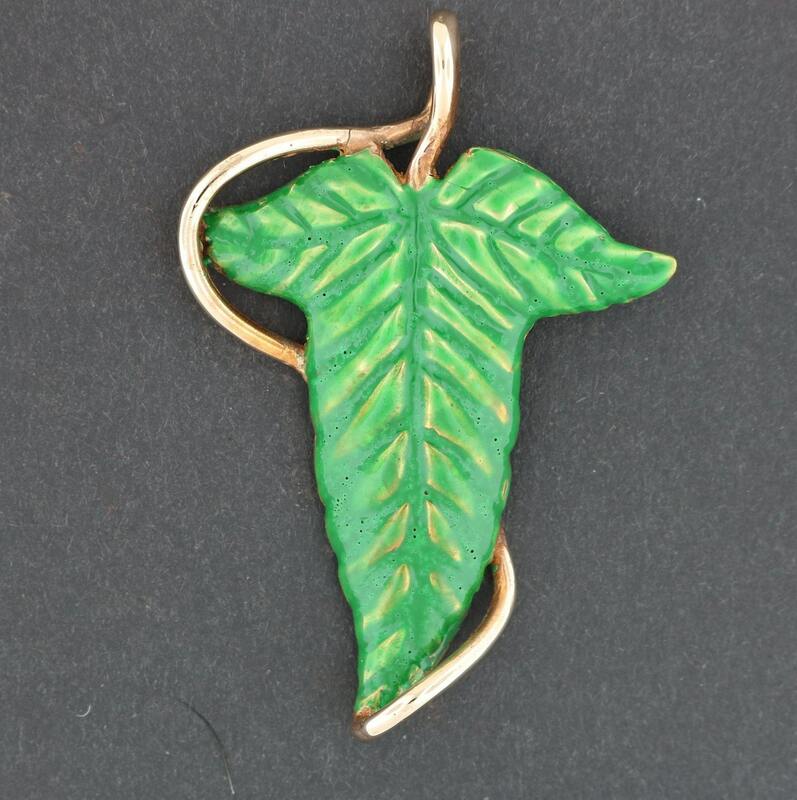 Each pendant is made by hand from start to finish, and the enameling may vary from one to the next. It can be made into a brooch upon request for an additional fee. This pendant was created out of annoyance and frustration of some cheaply made pieces I've seen over the years at the conventions I sell at. As an artist before I became a jeweller, quality and artistry is very important to me. so when I see sloppy pieces being sold, it rubs me the wrong way. I carved this one at UBCon in Buffalo in 2015 to demonstrate how it's done, and make something of beauty I can be proud of! Hope you love it! Antique bronze is an alloy that consists of a mixture of approximately 90% copper and 10% tin. Producing bronze is a less toxic process than producing brass as brass is a combination of copper and zinc, and the manufacturing process often produces zinc oxide which is toxic. Because bronze contains copper, it can turn your skin green whether you have an allergy or not. Bronze and copper turn your skin green because when the copper reacts with your sweat and the acids from your skin, it produces copper chloride. Copper chloride is a green substance that then rubs off on your skin. If you are prone to sweating, your bronze jewelry will definitely turn your skin green. This chemical reaction can also be prevented by painting any part of the jewelry that comes in contact with your skin with clear nail polish or clear acrylic enamel.